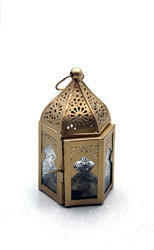 We commence our business as the leading organization of the best quality Moroccan Lantern. 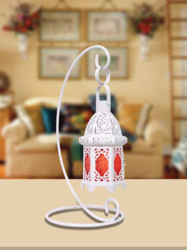 A very unique to look at lantern that has a copper antique finish. It is made of iron and glass thus looks absolutely exotic. As a quality focused firm, we are engaged in offering a high quality range of Designer Morrocon Lantern. Size: 11" x 11" x 14"
Iron Moroccane lamp with Powder-coated finish.